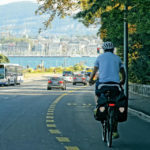 Might Switzerland test a 140 km/h speed limit? You are here: Home / News & features / Automotive / Might Switzerland test a 140 km/h speed limit? 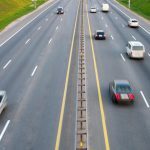 Bern’s young Swiss People’s Party (SVP/UDC) is calling for a new speed limit of 140 km/h to be tested on a stretch of Swiss motorway between Bern and Bienne. The demand for the test, on a stretch of road between Schönbühl and Lyss, was made via a press release. The Schönbühl-Lyss section was chosen because there are fewer cars and trucks on it. And, because the route is considered a cantonal road, the request can be addressed to the Canton of Bern. At the same time however, Swiss speed limits are set federally. 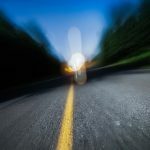 The party argues there would be less speeding if the limit was raised by 20 km/h to 140 km/h, smoother traffic flow, and greater safety – many people are more attentive at higher speeds it argues. In addition, it says that cars are now safer. However research shows that higher speeds increase the risk and severity of accidents. Higher speeds require faster reaction times and human reaction times have their limits. Research in Sweden showed a 1 km/h increase in speed increased the number of accidents by 2%. Higher speeds also increase fuel consumption due to increased wind resistance. One study shows an average car consumes 25% more fuel at 140 km/h than at 120 km/h.